This year marks StarCraft’s 20th birthday: on March 31, 1998, StarCraft was released for Windows, with all of that building to the grand finals of IEM Katowice 2018, which are about to take place. To celebrate, Blizzard have made a short film called StarCraft Is Life: A 20th Anniversary Celebration, which will debut on March 31. 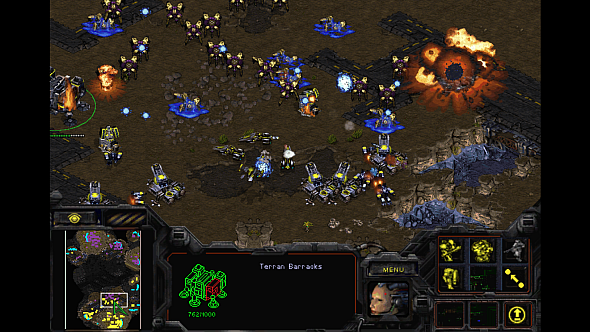 StarCraft as a series inspired many of the strategy games we know today – here’s a list of the best strategy games you can play now. The short film features interviews with StarCraft players from around the world, talking about how the series has changed their lives, and what it means to them. Who exactly will feature in the video is currently under wraps, but it’s likely to feature some of the top player in the game’s history and top community members or casters. There’s no trailer online yet, but we can probably expect one soon. It was revealed at IEM Katowice 2018 by Tim Morten, production director for StarCraft 2 at Blizzard, between the semi finals and grand finals of the tournament. We spoke to him at the event, where we asked him what StarCraft means to him. Being streamed on Twitchon ESL’s StarCraft 2 channel, the grand finals are a best of seven series between tournament favourite Serral (who managed to come back from a 2-0 series where he was on the ropes) and world champion Rogue. On top of the short film, there’s also going to be a special StarCraft anniversary stream on March 30 and March 31, featuring a number of popular faces in the StarCraft scene, “old and new.” There’s also a number of special crossovers in Blizzard’s other games: StarCraft 2 is getting lots of cosmetics, Heroes of the Storm is getting a StarCraft hero soon, and Overwatch is getting a new Kerrigan skin for Widowmaker. More details on the StarCraft 20th anniversary events, and news for details (such as who that Heroes of the Storm hero will be) will be uploaded to the official site for the anniversary celebrations.